World Aids Day is also an opportunity to talk about another disease in the same class of viruses, feline immunodeficiency virus (FIV). World Aids Day, on December 1, reminds everyone about those who are both living with and have died from human immunodeficiency virus (HIV). That opens the doorway for those infected to acquired immunodeficiency syndrome (AIDS). There is a tandem necessity and urgency to fund research and trials to eradicate this disease in addition to providing health services and hospice care for those in need. World Aids Day is also an opportunity to talk about another disease in the same class of viruses, feline immunodeficiency virus (FIV). While neither of these can pass from human to feline or vice versa, they both attack the body in the same way, making the immune system incapable of responding to infection. For cats, researchers have found that the average age for diagnosis is about five and as the animal ages the susceptibility to infection increases. As FIV is a transmittable disease, it is more often seen in males due to their more aggressive nature and tendencies to roam, making their exposure to the virus far more likely. In a Cornell Feline Health Center report, Cornell University College of Veterinary Medicine , it was shared that cats in stable home environments were far less likely to obtain the disease, however, the virus can lie dormant for years as it very slow moving and could go unnoticed. The effects may result in deteriorating health, but could also be masked by what appears to be recurring illness. 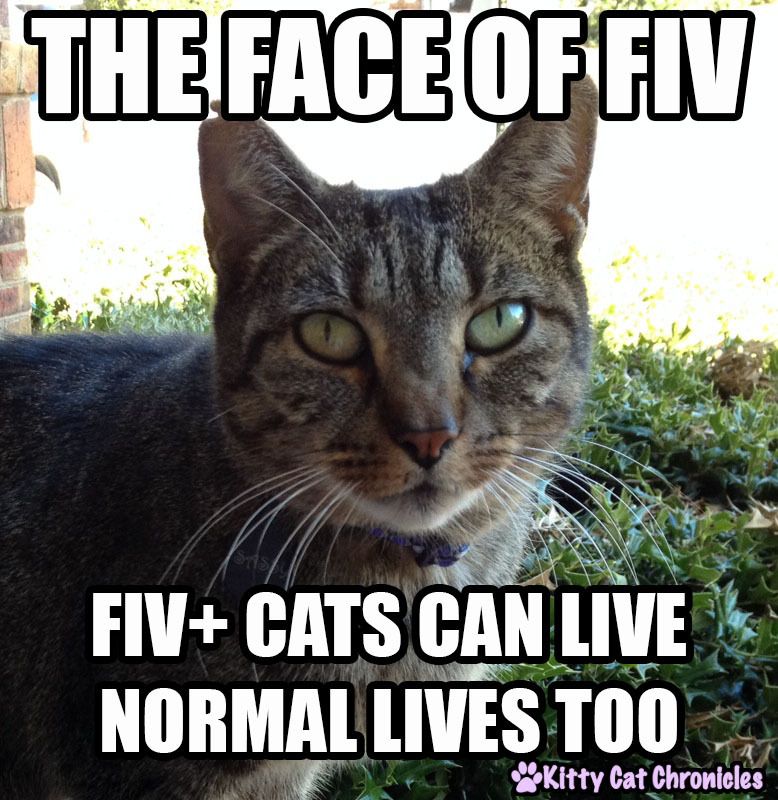 Just as with HIV, there is no known cure to FIV. While it is possible for a cat to have a long and happy life, it is important to care for them in the right manner and, as it is infectious, precautions may need to be made if there are other cats in the household, such as a separate feeding station so other animals avoid contact with saliva. As the virus is primarily spread through saliva and blood, fighting and biting that result in deep wounds can be a source for transmission. Like HIV, the virus does not live outside of the body. All that said, the main recommendation for transmission reduction is neutering. In the UK, those who have played the People’s Postcode Lottery are responsible for having raised funds for 30,000 neutering operations in addition to supporting education efforts for pet owners about the health benefits associated with that procedure. This is a good start to actively working to reduce FIV transmission. 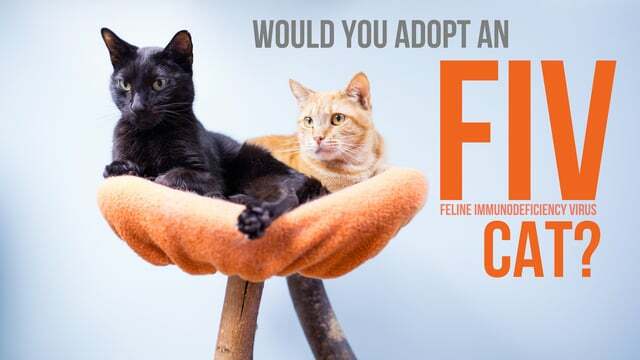 Of equal note are cats who reside in shelters and rescues, identified with FIV, but still waiting and hoping for a forever home. The mother of three, Julie Harding of Brighton, UK, adopted such a cat. She has concerns that many people will not want to take home such an animal and, as a result, brought home Sid for that very reason. The 12-year old ginger-striped cat has become a loving member of their family. 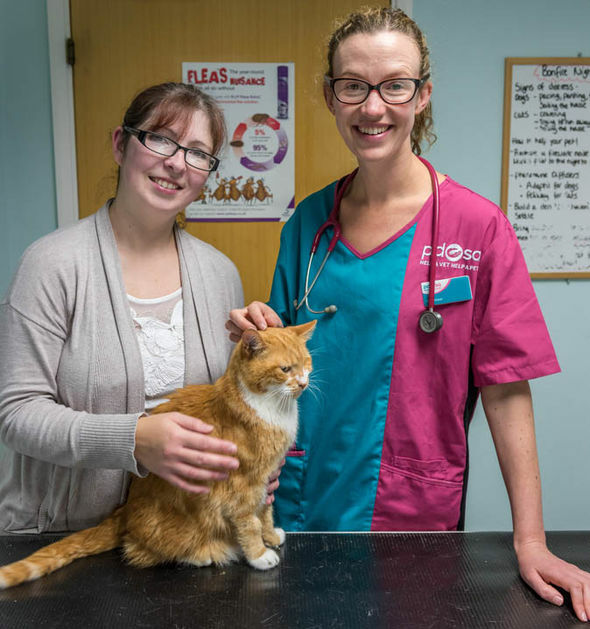 PDSA Veterinarian Vicki Larkham-Jones is quick to remind that FIV is not a threat to human health and supports neutering to protect the cats from contracting the disease. As there is no vaccine, taking precautionary measures is critical to insure a healthy and long life for all cats, FIV infected or not. As with any concerns, take the time for the benefit of and love for your cat, and speak to a veterinarian who will be in a position to evaluate and advise accordingly. As a pet owner, our cats depend on us to take care of them, and whether a visit to the vet results in positive or negative news, we are the ones that can make sure they have happy lives.